It is time for the 2018 Great Beginnings Recess Run! See you at 9:00 am at Bolen Park! Great Beginnings Preschool and Leesburg United Methodist are teaming up for our 3rd Annual Recess Run 5k and Fun Run! Proceeds from previous Races helped fund a brand new playground for our church preschool children and new and updated learning materials for our students. But we’re not stopping there! We look forward to using this year’s proceeds to spruce up the inside of the preschool. 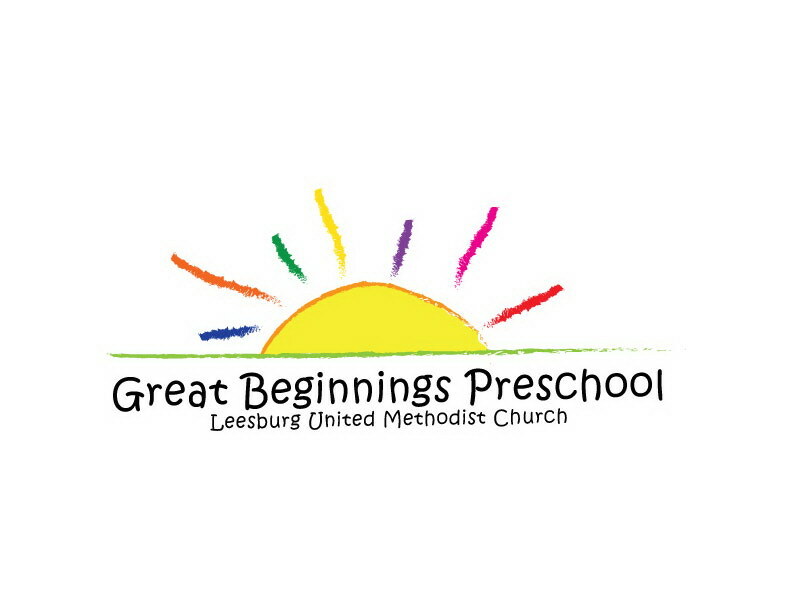 Great Beginnings Preschool is located in Historic Downtown Leesburg. We have had the privilege of educating Leesburg’s children for 50 years! We are so blessed to have a dedicated staff and the support of Leesburg United Methodist Church. At Great Beginnings Preschool (GBP), we have a “Learn through Play” approach to Early Childhood Education. Children are most comfortable when in motion and our staff brings early literacy, math, science and art to life each morning. GBP focuses on the whole child. Socialization and Academics go hand-in-hand during these formative years. We encourage our learners to SHINE bright: Share, Help others, Include everyone and use Nice words Everyday like Jesus. We want our building to shine as well. After 50 years of learning, we are looking forward to updating our resource materials, countertops/sinks and storage to make items more easily accessible for our staff and students. Your donation and registration fees will allow us to fill the mulch in our playground and begin updating our classrooms. We look forward to having worship in the park after our 5k and Fun Run on October 14th. The amazing staff at Philip Bolen Park created a new route for last year’s race making it stroller accessible! What a gorgeous venue to celebrate our preschool, church and community. Our Fun Runners (and 5kers as well) are invited to wear preschool-appropriate Halloween costumes! Thank you for helping GBP and LUMC maintain and improve our playground and preschool. Registrants will receive a commemorative cotton race shirt. **UPGRADE** to a Performance Shirt for an additional $6! Shirts will be guaranteed if registered by October 1. You can pick up your bibs and shirts on Saturday, October 13 from 4-6 at Great Beginnings Preschool (107 W Market Street, Leesburg, VA 20176) Bibs can also be picked up on Sunday morning at Bolen Park starting at 8:00 am. Visit our Facebook page and follow us for more details!